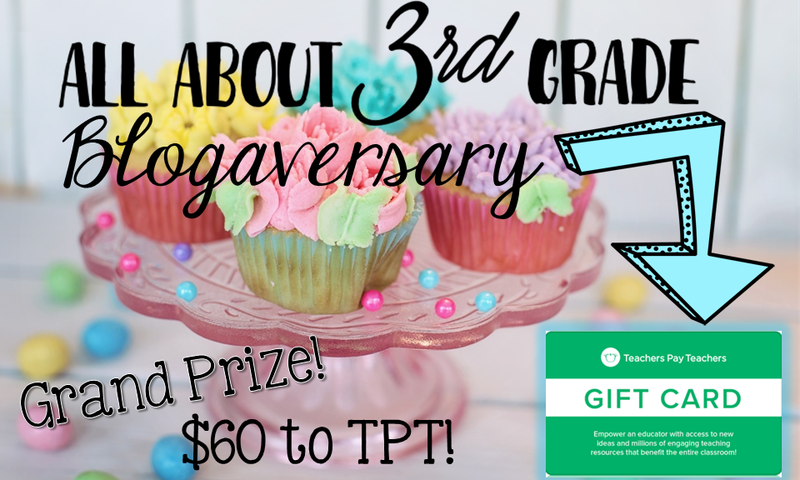 All About 3rd Grade is celebrating our FIRST Blog Anniversary! Make sure to join our Facebook Group to enter to win prizes in the LIVE Giveaways each night from April 24- April 30th! The Grand prize will be announced April 30th! Enter the Rafflecopter below to enter!